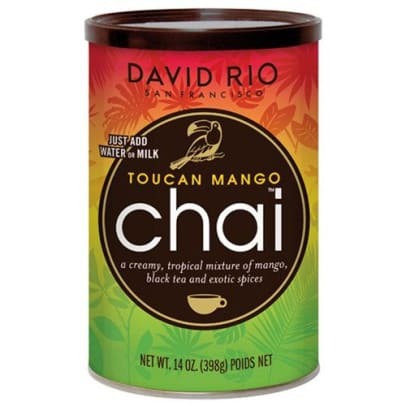 Toucan Mango Chai from David Rio is a high-quality chai latte. 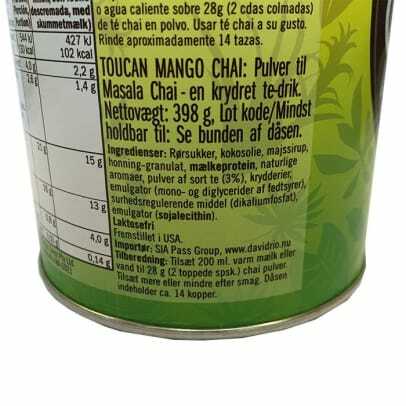 The chai gets is exotic flavor from a combination of black tea, spices and a delicious sweet taste of mango. 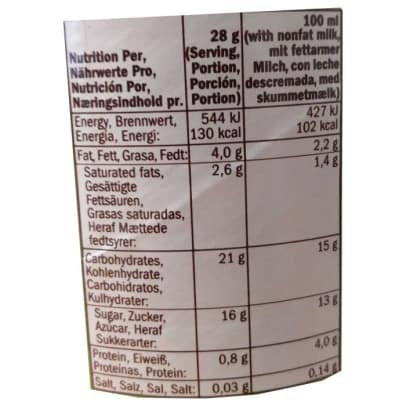 This combination makes a chai tea, that gives a wonderful taste and a creamy consistency. You decide if you want to add hot water or hot milk to your chai tea.